Speaking of transitions, I am getting ready for a big one…I think I may have mentioned a couple of times in this space that I’ve been in an eight-month advanced discipleship training course (or ADT for short) since last October. This post will go live less than 12-hours after our last ADT class. I started to get nervous today and I kept picturing that Sandra Bullock movie “28 Days” where her character goes to rehab for an alcohol addiction. While she is in rehab other patients graduate, but when they get back out in real life they immediately do drugs again and wind up back in rehab. 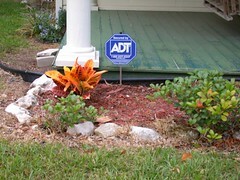 Eight months ago I entered the ADT program for a flesh addiction, I guess I am subconsciously worried that after I leave ADT (my spiritual version of rehab) I am going to crash and burn, do flesh-crack and wind up back at the facility. First and foremost, there’s good flesh and bad flesh and it all profits nothing and bears the fruit of death in our lives, no matter how good it looks. You can dress it up, you can even bedazzle it, but flesh is still flesh. It stinks and it’s dead. The Pharisees had a lot of really good, really religious flesh, but Jesus was harder on them than He was the prostitutes and tax collectors. Jesus died not just to save us from our sins, but so that we could LIVE. He wants us to live abundant, full lives unencumbered by sin, free from the shackles of religion, and from our union with Him. We no longer live by simply a moral code. It’s about relationship with God and that relationship can’t be reduced to a list of do’s and don’ts. We are united in Spirit with the Creator of the universe. We are one with Christ. He is in us and we are in Him. We are to live, here and now, from that union. (Just to connect the first two items – God’s not looking to strengthen our good flesh or help us be good or live better lives. He wants us to live in relationship with Him, in moment by moment dependence on Him). Living from our union in Christ is uniquely expressed in every single one of us. Christ expresses Himself differently through me than He does anyone else on the planet. I am free to be myself and God doesn’t expect me to be like anyone else. Even more good news is that you are free to be yourself too and I get to enjoy how Jesus expresses Himself through you. Because of Jesus, and absolutely NOTHING else, I am loved, accepted, valued, and totally secure. It’s not based on what I do or don’t do. In Christ, these things are true, ALL. THE. TIME. In spite of my best efforts (that’s code for Kim’s flesh), I am never going to fully understand all of this. After eight months, I am really comfortable knowing I will never understand it all. In fact, it’s been very freeing to say there are things I don’t know and things I will never know. It’s not my job to figure it all out. I just need to receive what God chooses to reveal to me. Being real and vulnerable is the only way to have true relationship with God and with others. Hiding and wearing masks is deadly in all kinds of ways. Expectations kill relationships. When we tell people what we expect of them, it places limits on how real and open they can be with us. It keeps them from sharing their hearts with us and erects walls and barriers. Enjoy who God created them to be and allow Him to transform them. Finally, Jesus is enough. It’s not Jesus plus anything else. It is only Jesus. Which is why I realize that while I may feel like an underdone cake, in Christ I am complete. I don’t need to go to ADT every week to finish baking. I need to walk in total dependence on Christ. He is the Author and Finisher of my faith (not me and not ADT) and until I see Him face-to-face, I will probably feel like an underdone cake, and that is perfectly ok. I apologize for the length of my list, but after all it was the most transforming eight months of my life. And this is only the tip of the iceberg. I would also like to say thank you to everyone in our class who so openly and vulnerably shared their lives. It took me a while to understand, but I finally got it. The ugly parts and the struggles are where we really see our flesh for what it is and learn to live as Christ. Finally, thank you to my family for freeing me up one night a week to make this happen. And thank you for loving me and my brand of crazy, I am a blessed woman. I love you all and love how God created each one of you to uniquely express Himself to the world through. This entry was posted in Grace, Love, Relationships and tagged Abundant life, Grace, Jesus. Well Kim….you certainly did an amazing job of describing what ADT was all about. I like your revised title but, I agree…it won’t fit on a t-shirt or tote bag 🙂 It has been an amazing blessing to get to know you and I am so thankful that you write this blog!!!! I am so grateful for you Sue. Thank you for being on this grace journey with me. You have blessed me more than you know.